This tie will add more color to your uniform suit & tie look. 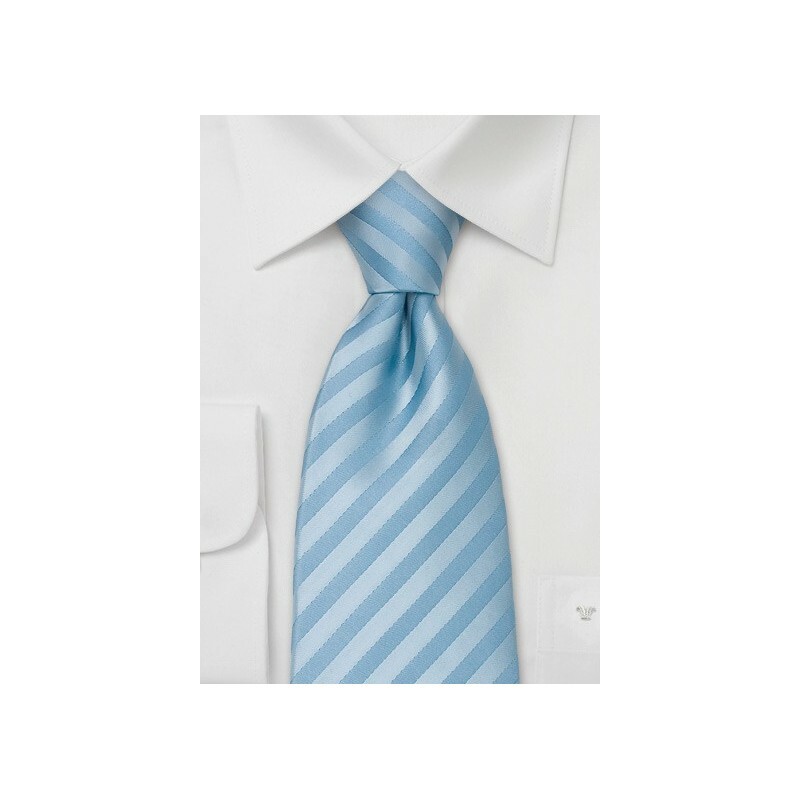 The sky blue color on this tie is matched with a subtle striping pattern. The tie is made from a single color yarn, and the pattern is created by switching the weaving direction of the yarn. A perfect tie for spring and summer in combination with navy blue, gray, or tan colored suits. This tie is made in extra long length and measures 62 inches. It is especially made for big and tall men. If you are above 6"3" then XL neckties are the right choice for you. Made from a stain-resistant microfiber fabric. Like the pattern and color on this tie, but don't need a special sized tie? 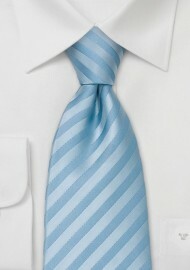 Then this tie is also available as a regular Solid Light Blue Necktie.